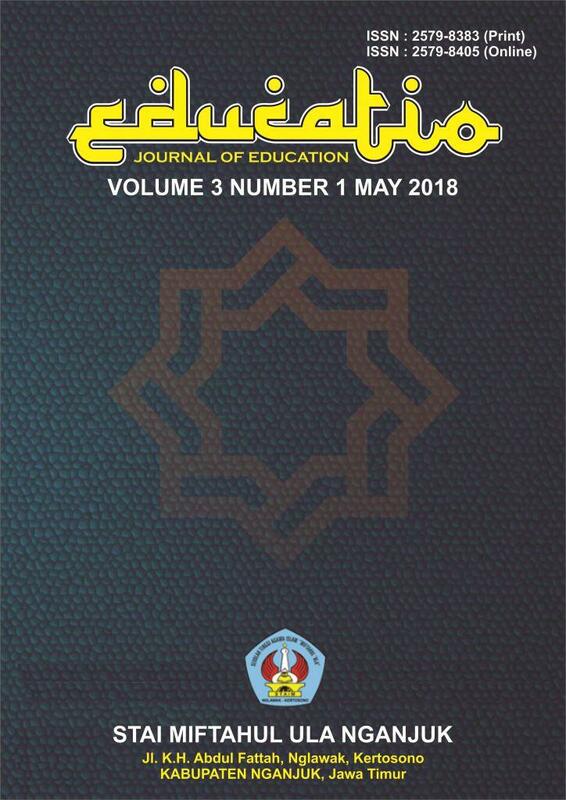 EDUCATIO, Journal of Education (P-ISSN : 2579-8383 ; E-ISSN : 2579-8405) is the Educational Research Journal published every six months in May and November by STAI Miftahul Ula Nganjuk. This periodical scientific publication media presents the results of recent research in the field of Education. Editors receive articles ranging from educators, observers, researchers around the world for publication. EDUCATIO is a multi-disciplinary, peer-refereed open-access journal which has been established for the dissemination of state-of-the-art knowledge in the field of education, teaching, development, instruction, educational projects and innovations, learning methodologies and new technologies in education and learning.